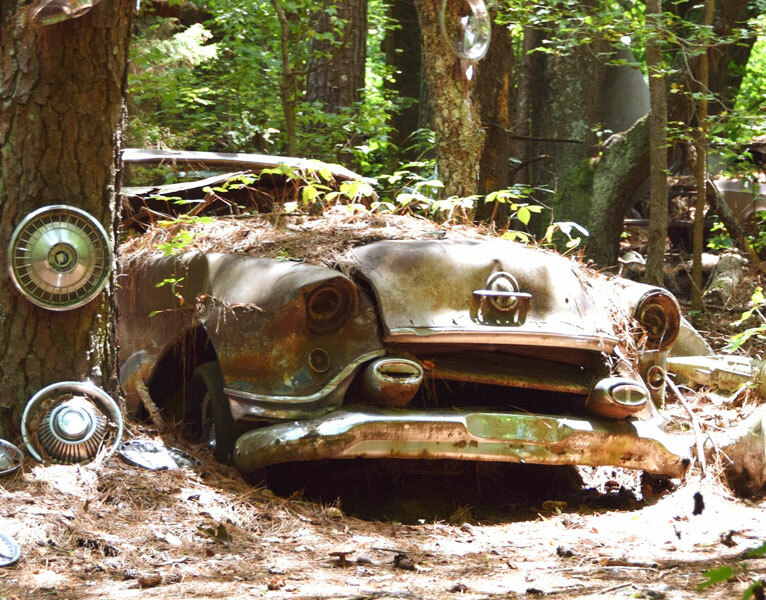 Time stands still at the 34 acre bone yard “Old Car City” located in White, Georgia. 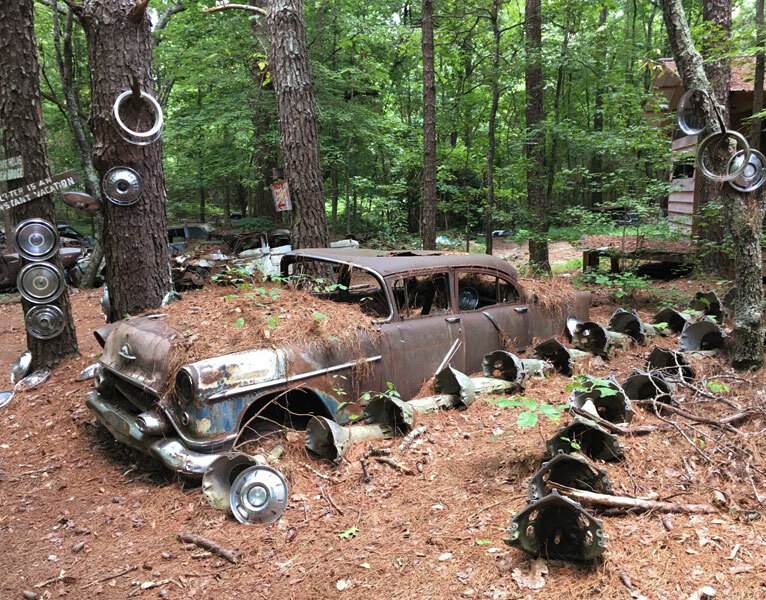 It started as a car dealership in 1931 and as time progressed it became a magical place full of old cars. I find it interesting to see technology designed for speed and movement all standing still for a very long time. It is fun to see these old cars and think about each ones story. 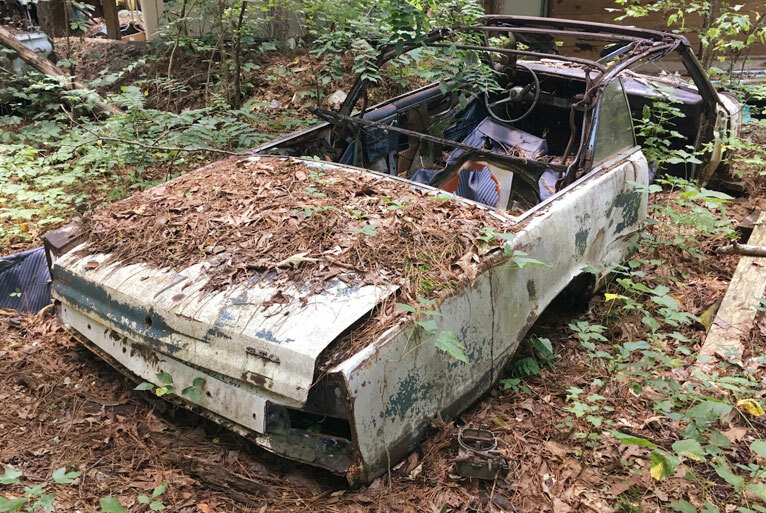 When I see an old car that is rusted-out and sitting for a long time I like to imagine the day it left the showroom floor. The vintage advertising brochures show them in their heyday at the top of their game. I can see the smile on the new owners face as they took it out for their first spin. Then as it became a part of their life the pride of ownership kicked in, not to mention the ogling by neighbors and friends as the car became an extension of their personality and how they were seen in the world. 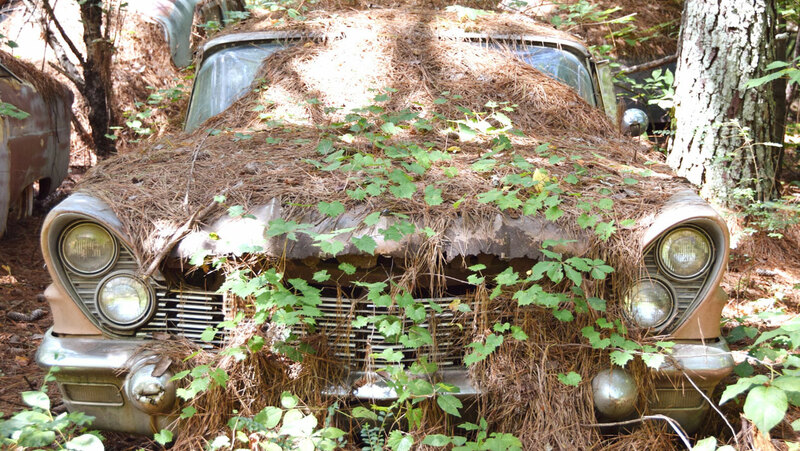 When you buy a new car the last thing on your mind is what it will look like 70 years later! Looking at this Lincoln Mark V I can imagine it rolling through the 1970’s in all its glory, 8-track tape player pouring out music and the driver’s velour shirt fitting nicely while resting their arm on the window sill. 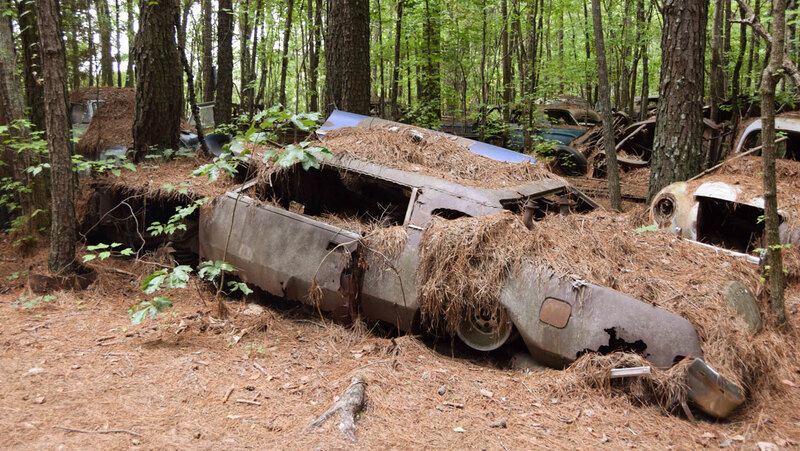 Upon seeing all these old cars it is a clear reminder that not every car makes it past 30, 20, or even 10 years old. When I see an old car preserved or restored at a car show this submerged thought is part of what makes them so enjoyable to see. Walking into an art gallery is a celebration of creative work on display. 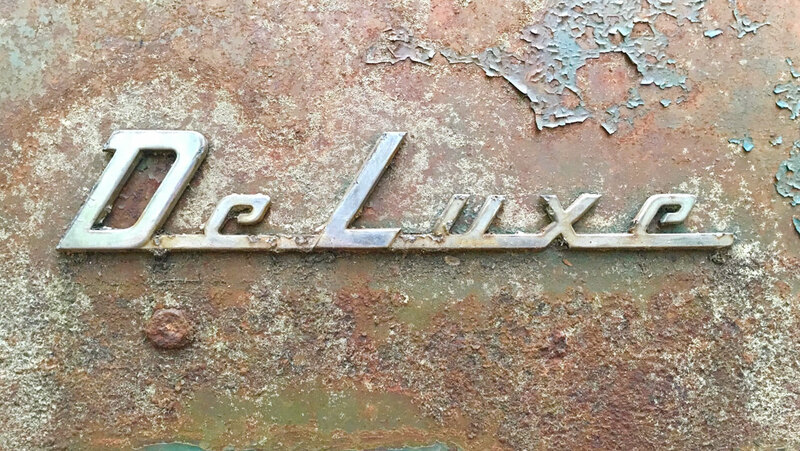 While not many auto designers’ names are common place in art history we see their work all the time. 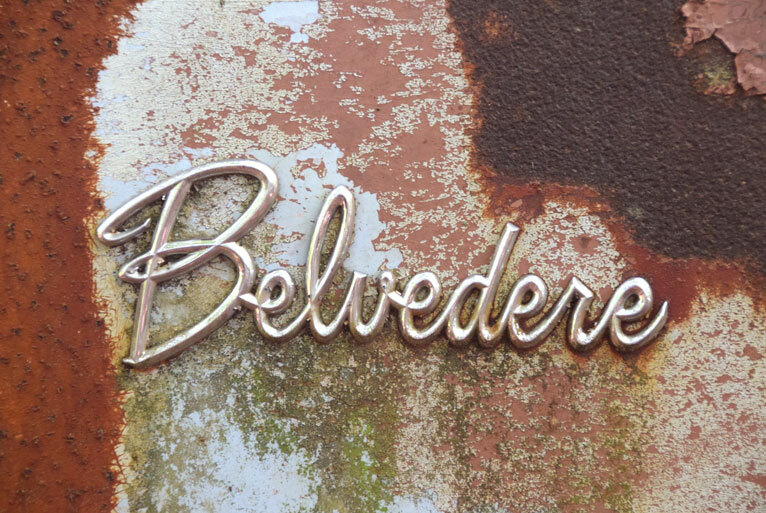 When standing in front of a 1953 Chevrolet resting in a field we are reminded it took a whole team of engineers and designers to create this rolling piece of artwork. But as with art galleries the important thing is how the viewer interprets/reacts to it. 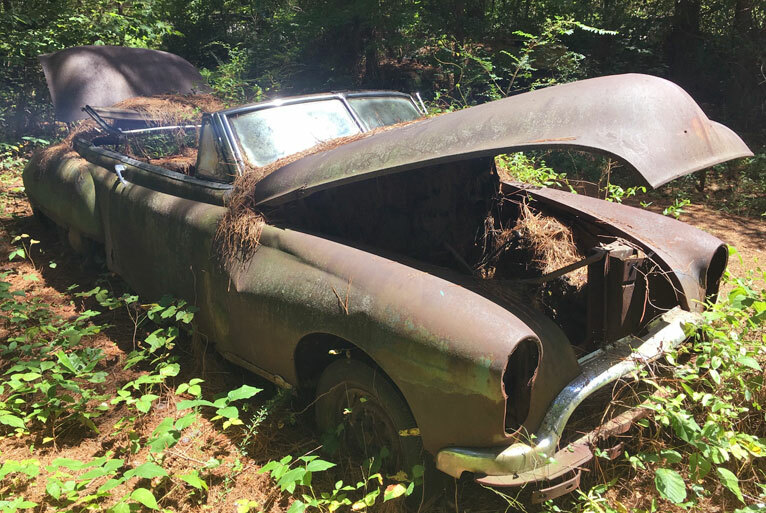 Miles Collier has made a life’s work on this topic at The Revs Institute in Naples Florida focusing on automobiles as historic objects and their impact on society. Nostalgic memories, art trends, and technical advancements all rolled up into one. 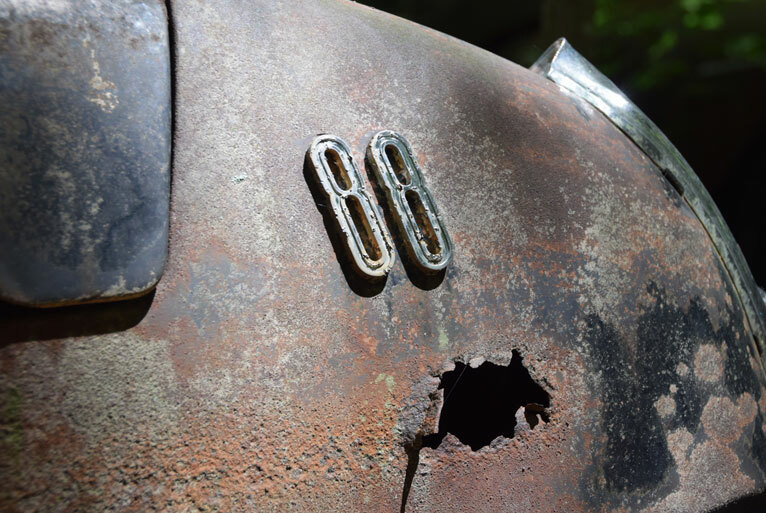 If you’re a car person or photographer this place needs to be on your list to visit. Pack water as you will want to settle in for a while and start early so you can take a lunch break and pace yourself, there is a lot to see. 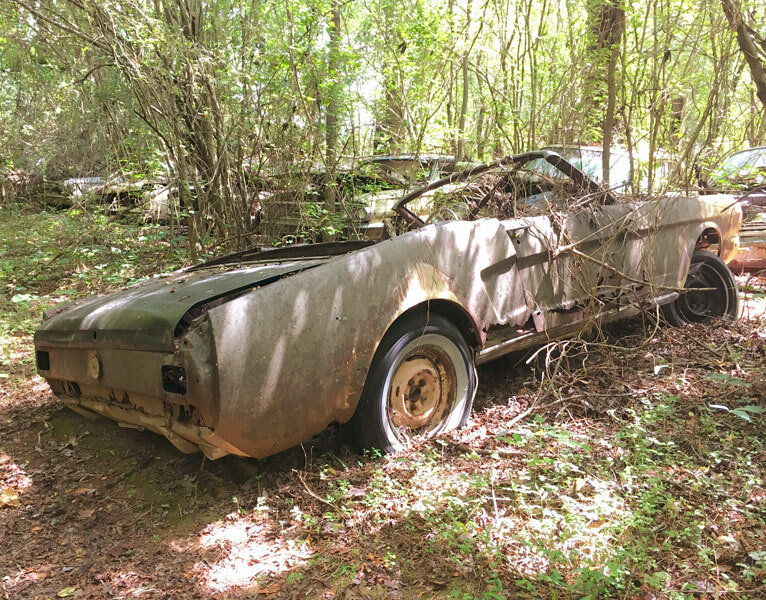 Be sure to review what poison oak and ivy looks like, while not super common in Georgia it is a factor when tromping around old cars. 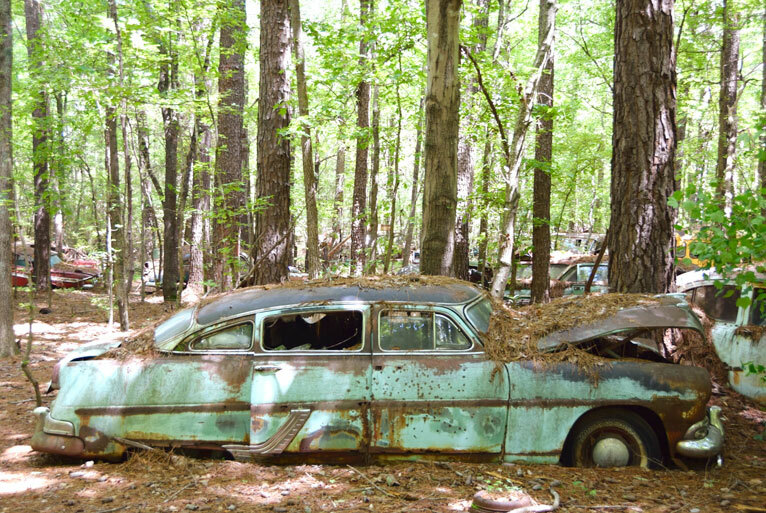 My first old car junkyard experience was full of these toxic plants and only in reviewing my photos later realized what I was surrounded by. Bugs are the main thing to deal with at this space so plan accordingly. I encourage you to enjoy these vehicles that have come to rest in White, Georgia. 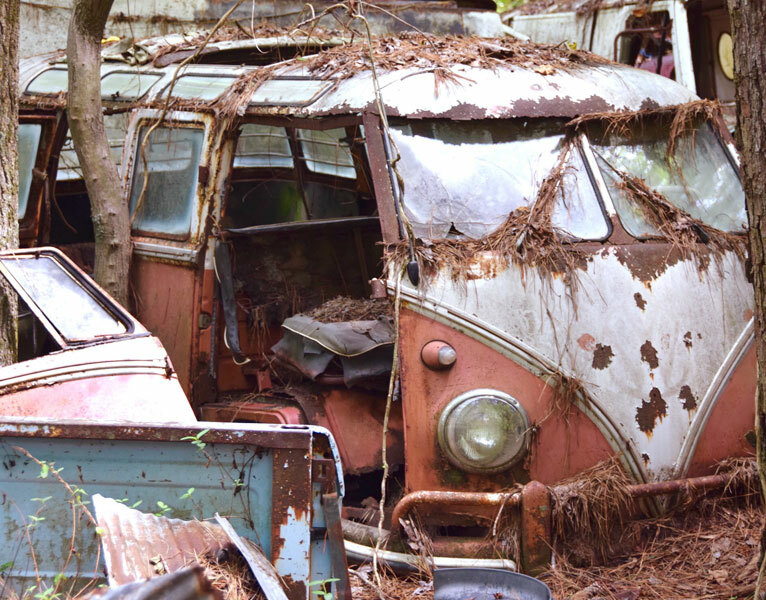 The forest is full of stories and art as nature slowly reclaims them. 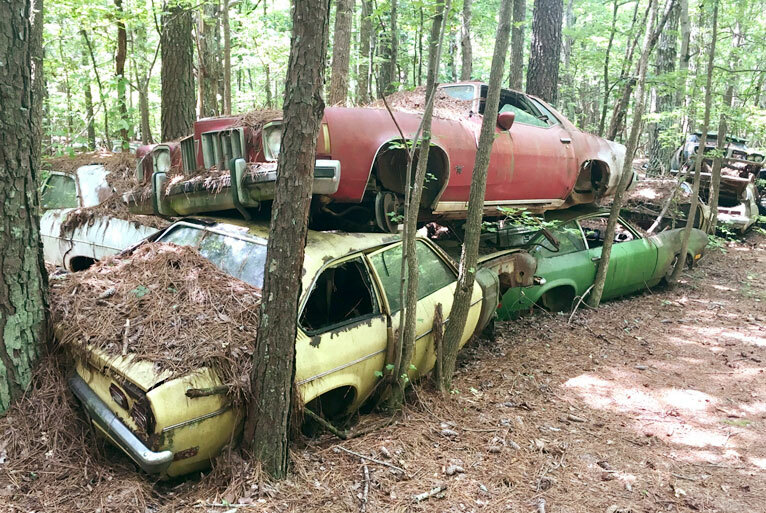 Many collections like this are going away for environmental reasons so don’t delay if you want to witness the last part of the automotive life cycle for these 4000 cars at “Old Car City” where time stands still.